A collection of ten historical short stories from the National Book Award-nominted writer. This is what you get with Shepard’s short stories — weight and validity, lingo and precision, so that men haven’t just worked on a train, they’ve 'humped as gangers.' His stories come bearing enough unimpeachable detail to ensure they never sink into the mush of a half-baked world ... This approach gives the individual stories heft and the collections a dizzying range. In the latest book, we’re plunged into the cold waters of the Atlantic, lifted into an ocean of air via balloon and even left to winter on a sea of groaning arctic ice. Shepard doesn’t want to scrutinize the social facets of a village à la Alice Munro, nor is he interested in Mavis Gallant’s tactic of using stories to explore variations on a single life. He wants the entirety of the world, with no era out of bounds ...Shepard’s quick character sketches have been honed over four previous collections, but what impresses is his ability to convey compressed, cinematic action. He knows when to pop rivets and bend structures, add histrionics as well as saltwater stoicism ... if some of the stories exhibit a weakness, it’s when this shoptalk overwhelms. I was reminded at times of crowd scenes in epic historical films in which each extra is frantically engaged in some verifiably accurate activity — even though the details are true, the great cumulation gets to be too much ... Although Shepard’s beautifully researched creations inhabit different eras, his basic point is made and remade. Before you ship out, before you submerge your submarine or unleash your balloon, cherish every bit of warmth and respite, every gesture of love. These stories are full of roiling grief, yet they’re never merely grim. As one sailor muses, about the Antarctic landscape, 'By day the icebergs refract a vividness of color beyond the power of art or words to represent.' Shepard’s project is always to push toward that sense of wonder and the 'high hopefulness' of purpose that ordinary people have always brought to the project of living — to give us through fiction a sense of profound empathy that the historical record alone cannot. He most stunningly succeeds. The best stories in his new collection, The World to Come, bring a slight shift in tone to his work. There’s less sense than usual of looking at small, crushable specimens under a magnifying lens, and more heart and feeling racketing around in his characters. Like Alice Munro, he has a knack for compressing a novel’s worth of life into 30 or 40 pages. If there’s a distance in these new tales, it’s the distance of long perspective ... 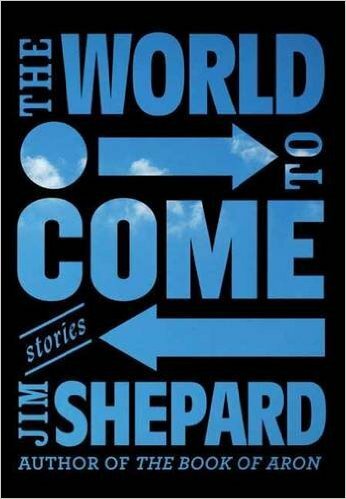 It all adds up to a peculiar yet arresting vision, as Shepard lets you see a startling variety of dangers and condundrums through the eyes of characters who, poignantly or even despairingly, can’t quite summon the humanity that’s hidden away in them. What did you think of The World to Come?